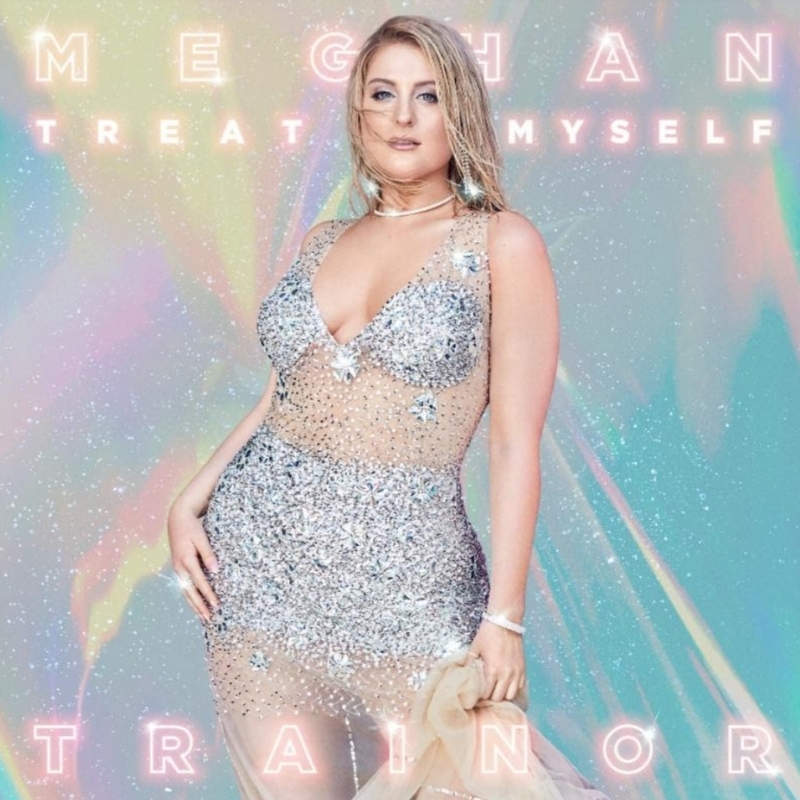 (June 21, 2018 – Los Angeles, CA) – After months of building anticipation and fueling excitement, GRAMMY® Award-winning singer, songwriter, and producer Meghan Trainor will release her third full-length album entitled, TREAT MYSELF [Epic Records], on August 31st, 2018. Pre-order goes live today and unlocks instant grat downloads of the scorching songs “LET YOU BE RIGHT,” “CAN’T DANCE,” and “NO EXCUSES” as well as a brand new track “ALL THE WAYS.” Pre-order it HERE! Grammy-Award winning singer, songwriter, and multi-instrumentalist Meghan Trainor emerged with her 2014 breakout single “All About That Bass” and disrupted contemporary music with nostalgic pop beats and powerhouse vocals that delivered a worldwide anthem for female empowerment. Trainorcemented her rising status as one of the most prominent artists in popular music by charting seven multi-platinum singles, releasing two platinum albums, selling out three headline tours, writing multi-platinum hits for top pop and country artists, and receiving countless industry awards and nominations worldwide. She is one of only five female artists to receive a diamond certification for her hit single “All About That Bass” which shares the RIAA Gold & Platinum Awards top honor with only 15 other singles in history. Earlier this year, Trainor wrapped up her first season as a panelist on FOX’s hit singing competition series THE FOUR: Battle for Stardom. This entry was posted in Design and tagged 360 Magazine, all about that bass, Atrin Yazdani-Biuki, CBS, competition, country artists, diamond certification, Disney Channel, female artists, female empowerment, fox, Grammy award, Hoda Kotb, Jimmy Fallon, LET YOU BE RIGHT, Meghan Trainor, Morning Show, music, pop, pop culture, pop music, popular music, Radio Disney Music Awards, RIAA Gold & Platinum Awards, singing, Stephen Colbert, THE FOUR: Battle for Stardom, The Late Show, tonight show, Trainor, Vaughn Lowery, Elvis Duran on June 21, 2018 by wp360mag. 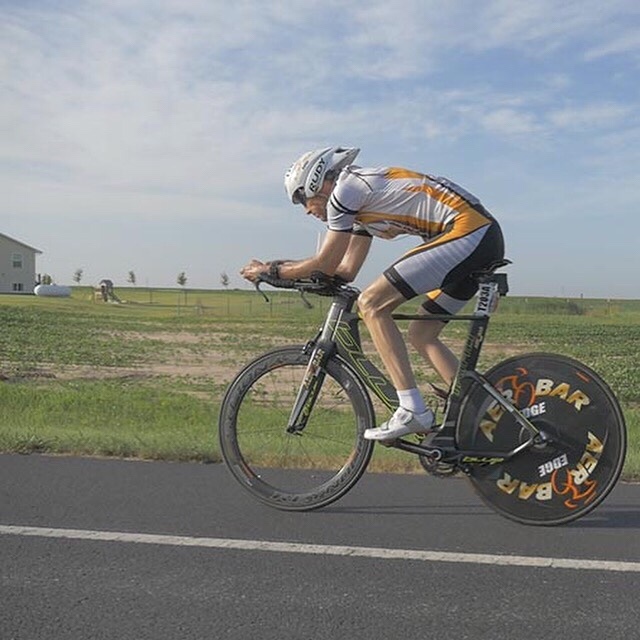 This true story features Jerry Schemmel, a Major League Baseball sports announcer and survivor of the United DC-10 crash of 1989 (Sioux City, Iowa); and Brad Cooper, USA Triathlon All-American, 11-time Ironman finisher and co-founder / CEO of US Corporate Wellness/Catalyst Coaching Institute, as they fulfil their dreams to compete in the world’s most grueling and demanding bicycle race. The trek chronicles the two endurance athletes through 12 states — from the Pacific to the Atlantic Oceans. 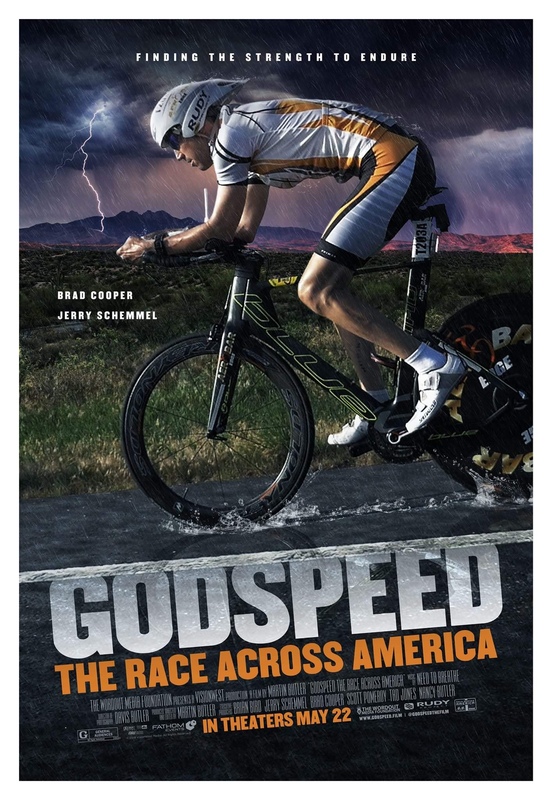 · GODSPEED – THE RACE ACROSS AMERICA, the documentary chronicles this first-time racing duo as they compete 24 hours a day covering miles of deserts, mountains and plains, to overcome physical exhaustion and sleep deprivation. This entry was posted in Health and tagged 360, 360 Magazine, announcer, Atlanta, baseball, brad cooper, Brian bird, captive, CBS, Crash, cycling, Diana Macaraeg, Godspeed, health, hiking, hollywood, Ironman finisher, Jerry Schemmel, MLB, pacific, sports, the building hope international, the race across America, United dc-10, USA triathlon, Vaughn Lowery, when calls he heart on April 20, 2018 by Pitch360. 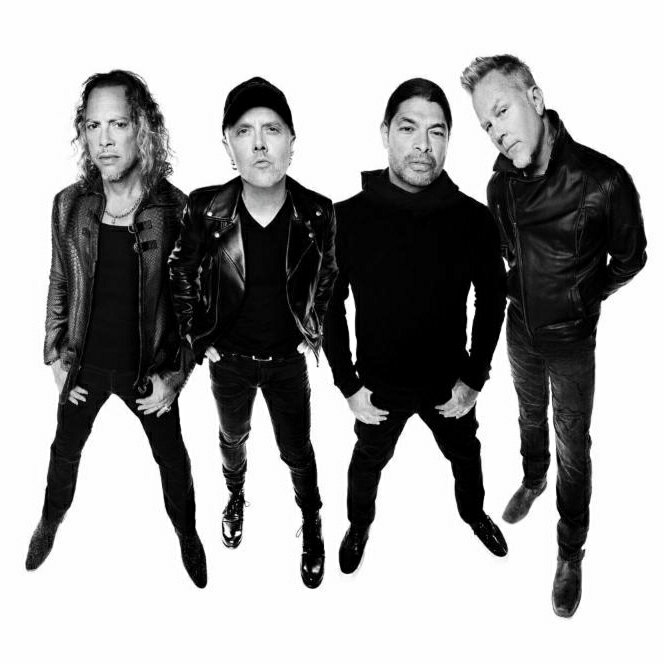 This entry was posted in Uncategorized and tagged 21 nominations, 360magazine, 60th annual Grammy awards, best rock album, best rock song, blackened recordings, California, CBS, hardwired, Madison square garden, metallica, new york city, record label, two Grammy nominations, Vaughn Lowery, Victor Harrington on November 29, 2017 by wp360mag. Thirteen-time GRAMMY® Award-winner and international superstar Shakira has been nominated for Best Latin Pop Album at the 60th Annual GRAMMY® Awards for El Dorado. Shakira also took home the Latin GRAMMY® Award for Best Contemporary Pop Vocal Album at the 18th Annual Latin GRAMMY® Awards for El Dorado. Hosted by Jaime Camil and Roselyn Sánchez, the awards took place at the MGM Grand Arena in Las Vegas on November 16, 2017. In addition to its Latin GRAMMY® win, El Dorado has enjoyed huge successes – spending 25 weeks at #1 on Billboard’s Latin Pop charts, 20 of which were consecutive and the latest single “Perro Fiel” is the #1 song on Latin Pop radio this week. With eleven Latin GRAMMY® awards, Shakira is the most awarded female artist of all time. Hosted by James Corden, the 60th Annual GRAMMY®Awards will air live from Madison Square Garden in New York City on January 28, 2018 on CBS at 7:30PM EST. Over the course of her career, Colombian singer-songwriter and GRAMMY® winner Shakira has sold over 60 million records worldwide and has won numerous awards including two GRAMMYs®, eight Latin GRAMMYs®, and several World Music Awards, American Music Awards and Billboard Music Awards, to name a few. She is the only artist from South America to have a number one song in the US, and has had four of the 20 top-selling hits of the last decade. At the age of 18, she founded the Pies Descalzos (Barefoot) Foundation which currently provides education and nutrition to over six thousand impoverished children in Colombia and is expanding its work to other countries, including newly launched projects in Haiti and South Africa. In October 2011, Shakira was named a member of President Obama’s Advisory Commission on Educational Excellence for Hispanics. Shakiraserved as coach on the 4th and 6th season of “The Voice,” NBC’s hit reality vocal competition series that searches for the nation’s best voice. Her tenth studio album “Shakira” was released in 2014, featuring hits such as “Can’t Remember to Forget You,” with Rihanna and “La La La (Brazil 2014)” which she performed at the finals of Fifa’s World Cup 2014 in Brazil. In 2016, she starred as Gazelle in Disney’s record-breaking film “Zootopia,” as well as contributing to its soundtrack with “Try Everything”. In June, she launched “La Bicicleta” with fellow Colombian artist Carlos Vives, which broke records in Colombia when it remained #1 for 18 consecutive weeks and spent 13 weeks at #1 in Spain, as well as reaching #1 on US Latin iTunes. The video, shot in Shakira and Carlos’s hometowns of Barranquilla and Santa Marta, respectively, has over one billion views on Vevo to date. It was followed up by the seductive track “Chantaje” (Blackmail) feat. Maluma. With over 1.9 billion views on YouTube, it is one of the platform’s biggest Latin hits in history. It also reached #1 on the “Latin Airplay” chart and was certified 16x platinum by RIAA. Following “Chantaje,” the music video for “Déjà vu” has reached over 251M views, “Me Enamoré,” co-directed by Shakira has over 484M views, and her most recently released video, “Perro Fiel” featuring Nicky Jam, is at over 300 million views. Shakira recently released her 11th studio album, “El Dorado” which was recorded primarily in Spanish. Upon release, the album charted #1 on iTunes in 37 countries. This entry was posted in Feature and tagged 360magazine, AdvisoryCommisoon, album, AmericanMusicAwards, Barefoot, Barranquilla, BillboardMusicAwards, brazil, CarlosVives, CBS, Columbia, Disney, EducationExcellenceforHispanics, ElDorado, FifaWorldCup2014, Gazelle, GrammyAwards, Haiti, international, JamesCorden, JamieCamil, LasVegas, Latin, LatinAirplay, LatinGrammyAwards, MadisonSquareGarden, Maluma, MGMGrandArena, nbc, NickyJam, nyc, PiesDescalzosFoundation, pop, pop culture, PresidentObama, RIAA, rihanna, RoselynSánchez, SantaMarta, Shakira, SouthAfrica, SouthAmerica, spain, spanish, superstar, TheVoice, USLatiniTunes, vaughnlowery, vevo, WorldMusicAwards on November 29, 2017 by wp360mag. 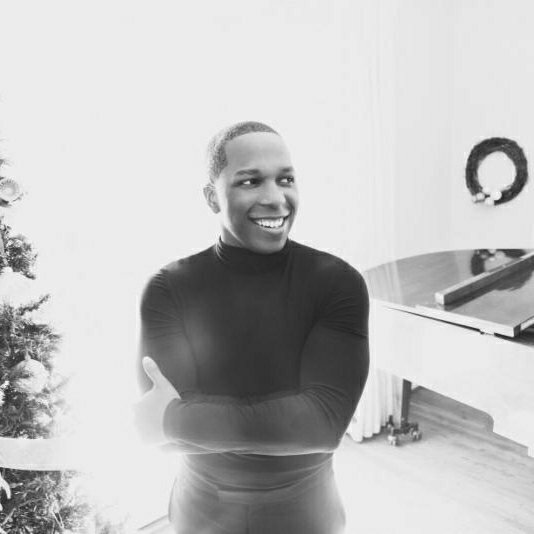 Award-winning vocalist Leslie Odom Jr. will perform on the annual Victoria’s Secret Fashion Show airing tonight on CBS, and worldwide tomorrow, November 29th. Merging fashion, fantasy and entertainment, the lingerie runway show includes iconic musical performances, pink carpet interviews and model profiles. Taking place in Shanghai, China, other performers include, Harry Styles, Miguel and Jane Zhang. Last year’s event garnered 1.4 billion viewers and more than 150 billion media impressions worldwide. In support of the recently released deluxe edition of his critically acclaimed album Simply Christmas, Odom Jr. performed at the annual Macy’s Thanksgiving Day Parade on the Sesame Street float, and is set to perform at Christmas in Rockefeller Center. Up next, he will perform on the all-star holiday musical special, Taraji’s White Hot Holidays airing on FOX on December 14. He also performed a sing along with the PS22 Chorus of Public School 22 in New York. The chorus has performed with a multitude of musical acts (e.g. Katy Perry, O.A.R and Carrie Underwood) and has had celebrated appearances on numerous national and international broadcasts throughout the years after its videos gained worldwide attention. To date, the chorus’s videos have been watched more than 75,000,000 times. Odom Jr. will also be a part of Live From Lincoln Center which will be filmed in front of audiences at The Appel Room at Jazz at Lincoln Center this December, and air on PBS nationwide in 2018. Simply Christmas, the stunning album of reinterpreted holiday classics, debuted at #1 on the Soundscan and Billboard Jazz charts last year. The deluxe edition, which is out now, features four new songs including, “Please Come Home For Christmas,” “Edelweiss,” which was arranged by GRAMMY nominee Michael McElroy, and features Odom Jr.’s wife of 5 years, an accomplished performer in her own right, Nicolette Robinson, and “The Christmas Waltz,” featuring a brand new arrangement by Emmy-winning and GRAMMY nominated arranger Rob Mathes. Simply Christmasshowcases Odom Jr.’s soulful jazz versions of Christmas classics and follows his successful self-titled jazz debut. Full track listing below. Odom Jr.’s self-titled debut jazz album on S-Curve Records won over critics and fans upon release last year, and debuted at #1 on Soundscan Current and Traditional Jazz Charts. He completed his run as the original Aaron Burr in the smash hit Hamilton last summer, a role that won him a Tony & Grammy Award. On the small screen, Odom, Jr. is best-known for his portrayal of ‘Sam Strickland’ in the NBC musical series, “Smash,” and his recurring role as ‘Reverend Curtis Scott’ on “Law & Order: SVU.” He’s also appeared in episodes of “Gotham,” “Person of Interest,” “Grey’s Anatomy,” “House of Lies,” “Vanished” and “CSI: Miami.” On the big screen, he starred in the 2012 film, “Red Tails,” opposite Terrence Howard, Cuba Gooding Jr. and David Oyelowo. Odom Jr. is currently starring in Murder On The Orient Express alongside Johnny Depp, Judi Dench, and more. This entry was posted in Uncategorized and tagged 2017 Victoria's secret fashion show, 360magazine, California, CBS, deluxe edition, Global Society, harry styles, Jane Zhang, Leslie odom jr, Macy's thanks giving day parade, Miguel, performs, Rockefeller center, Shanghai china, simply Christmas, tonight, Tony & Grammy award winner, Vaughn Lowery, Victor Harrington on November 28, 2017 by wp360mag. FEATURES FAN FAVORITES “ONE DAY LIKE THIS,” “GROUNDS FOR DIVORCE,” “NEW YORK MORNING,” “LIPPY KIDS,” AND MANY MORE. Manchester band elbow just wrapped a successful and SOLD-OUT run across North America this month, which included a late night television performance on NBC’s The Tonight Show Starring Jimmy Fallon, where they performed current single “Magnificent (she says)” [WATCH HERE], and “One Day Like This” [WATCH HERE], plus A day-time television performance and interview with esteemed host Anthony Mason on CBS’ This Morning: Saturday. Watch their performance of “Magnificent (she Says)” HERE, “Grounds For Divorce” HERE and “All Disco” HERE. The band also played awe-inspiring live sessions for WNYC’s Soundcheck [LISTEN HERE] and KCRW’s Morning Becomes Eclectic [WATCH HERE]. 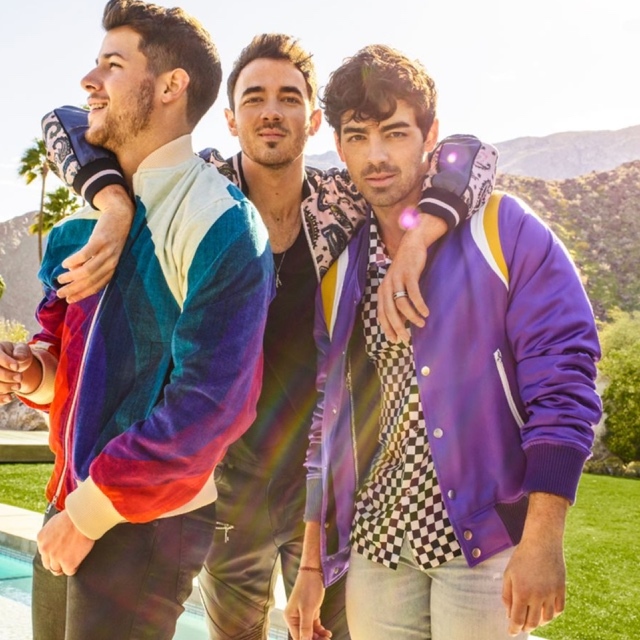 On Friday, November 24 the band also released their latest full-length album “The Best Of” via Republic Records in North America. A collection of their best moments to date, the album covers two CDs (in its deluxe form) and features tracks from the band’s seven studio albums, highlighting their incredible musical output over the last eighteen years. From the release of their “Newborn” EP in 1999, the collection stretches all the way to 2017, with the bonus track of the band’s version of The Beatles “Golden Slumbers,” as heard on the current John Lewis Christmas commercial directed by Michel Gondry [WATCH HERE]. elbow have been lauded for one of the landmark Pyramid Stage performances at Glastonbury Festival, collaborated with the BBC Concert Orchestra and Manchester’s Hallé Orchestra. In 2012 they were commissioned to write ‘First Steps’ which sound-tracked the BBC’S London Olympics TV coverage with the band also performing at the closing ceremony in the Olympic Stadium to a global television audience of 750 million people. This year’s secret appearance at Glastonbury’s Park Stage drew a record crowd on site and was the most watched set from the festival on BBC. Always a band that has attracted deserved critical praise for their recordings, (elbow were the first act in history to receive four consecutive 9/10 album reviews from NME), this best of album is the perfect introduction to the amazing musical legacy to date of one of the country’s most beloved and most successful acts, demonstrating that most rare thing in modern music; a band whose story and influence continues to grow with every release. “The Best Of” is available in the U.S as a standard and deluxe digital download from 24th November. Advance purchasers of the digital download will receive “Golden Slumbers” on receipt of order. 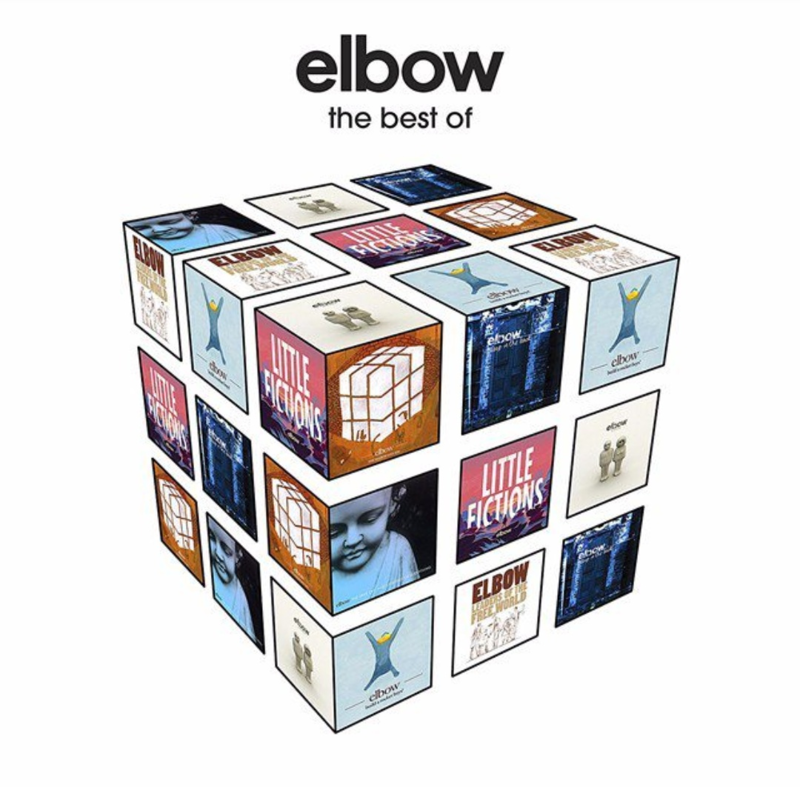 elbow’s current full-length album “Little Fictions” is out now worldwide. 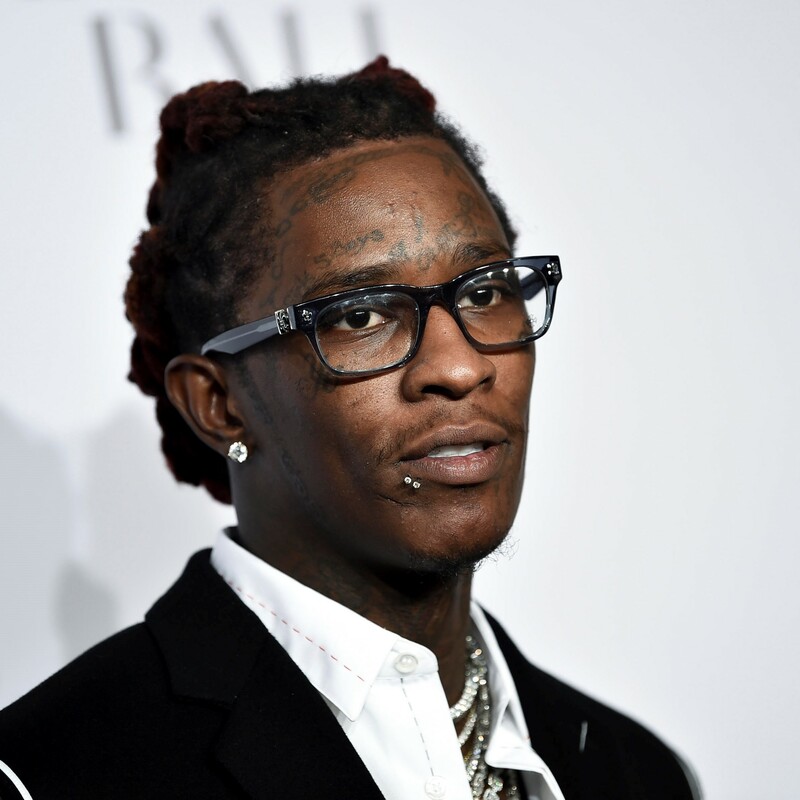 This entry was posted in Uncategorized and tagged 2008 Mercury Music Prize, 360magazine, American Recordings, Amine, Anthony Mason, Ariana Grande, band, BBC, BBC Concert Orchestra, belly, Best British Group, Big Machine Records, Black Sabbath, Boominati Worldwide, Brushfire, Casablanca Records, Cash Money, catalogue, CBS, D Savage, Damian Marley, deluxe release, DNCE, Drake, festival, fifty shades of grey, Fleetwood Mac, Florence + the Machine, Fox TV, Giorgio Moroder, Glastonbury, Glastonbury Festival, globalsociety, globaltv, Golden Slumbers, Gotye, Greta Van Fleet, Guy Garvey, Hailee Steinfeld, Hallé Orchestra, hollywood records, Ivor Novello, j balvin, Jack Johnson, James Bay, James Blake, Jessie J., Jimmy Fallon, John Grant, John Lewis, John Mellencamp, Jordan Smith, Julia Michaels, Justine Skye, KCRW, Keith Richards, Kid Cudi, KUNGS, lava records, Lee Daniels, legacy, legends, Leonard Cohen, Liam Payne, Lil Wayne, London Olympics, Lorde, Los Angeles, Luis Fonsi, manchester, Marian Hill, METRO BOOMIN, Michel Gondry, modern, Monkeywrench, Monte Lipman, nbc, Newborn, Nick Drake, Nicki Minaj, NME, nyc, Of Monsters and Men, Olympic Stadium, Park Stage, Pearl Jam, pop culture, Post Malone, Pyramid Stage, Q and Mojo Awards, Republic Records, Roc Nation, Seth MacFarlane, SING, single, Ski Mask The Slump God, sofia Carson, sold out, Soundcheck, star., Stevie Wonder, Taylor swift, The Avett Brothers, the Beatles, The Best Of, The Dream, The Guardian, the voice, The Weeknd, Tiesto, Towkio, Tuff Gong, UK, Universal Music Group, Universal Music Latin Entertainment, universal pictures, us, Vaughn Lowery, Victor Victor Records, WNYC, xo, zendaya on November 27, 2017 by wp360mag. Olstead is no stranger to Hollywood. Her breakout role was playing Madison Cooperstein on ABC Family’s hit show The Secret Life of the American Teenager. The show ran for five seasons and boasts several People’s Choice & Teen Choice Award nominations. Her dedicated fan base has earned her a large social media presence with a verified Twitter of over 81,000 Twitter followers, and an verified Instagram of over 68,000 followers. Olstead has also had huge success on the big screen. She played Jess Felton in the hit Universal Pictures film, UNFRIENDED which grossed over $42 million worldwide with only a budget of $1 million. The popularity and fan following earned the film a People’s Choice Award nomination for Favorite Thriller Movie. Despite her busy schedule, Olstead is dedicated to leading a healthy and active lifestyle. She currently lives in Los Angeles with her husband, musician Tommy King, and their two amazing rescue dogs. In her free time Olstead dedicates her time to various animal shelters and charities. Olstead holds several other charity organizations close to her heart including: Lambda Legal, Planned Parenthood, UNICEF Next Generation and Big Brothers, Big Sisters. Has amassed over 9 seasons of television appearances as a regular on CBS Still Standing and ABC Family’s office comedy Work Mom. Attended A-List events such as: Elton John’s Oscar Party, Giorgio Armani Honors The Revenant Oscar Party, InStyle/WB Golden Globes Party, Variety’s Power of Youth, Teen Vogue’s Young Hollywood Party, The Emmy’s Television Advocacy Awards, NY Fashion Week Marc by Marc Jacobs Fall/Winter Collection, Wondercon 2015, W & Guess Celebrate 30 Years of Fashion, Nylon Magazine Parties, Audi Prime-Time Emmy Party, Logo’s NewNowNext Awards, The Advocate’s 45th Anniversary. This entry was posted in Feature and tagged 13 going on 30, 360, 360 Magazine, ABC, actress, bachelor lions, best original song, big brothers big sisters, CBS, David arquette, David foster, Diana Macaraeg, end of days, golden globe, Grammy nomination, Houston, international, James Maslow, Libby award, lifetime, mitchel musso, peta, Renee Olstead, rising star award, Sherlock Holmes, singer, songwriter, stage production, still standing, summertime, tell tale lies, Texas, the insider, the late show with David letterman, the oprah Winfrey show, the secret life of the American teenager, the today show, tommy king, unfriended, Vaughn Lowery on October 22, 2017 by Pitch360.